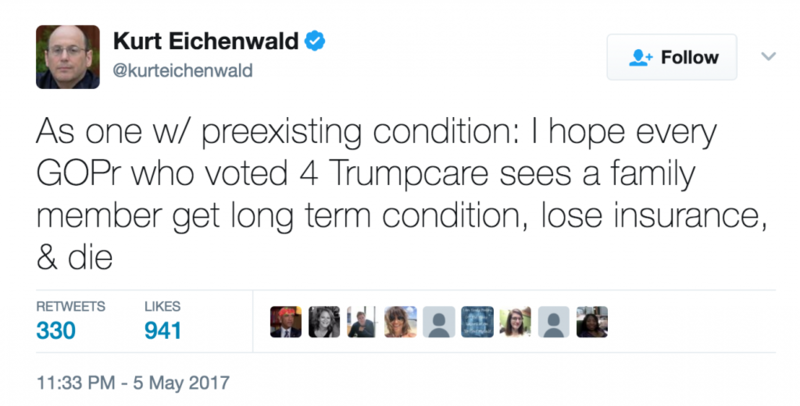 Newsweek senior writer Kurt Eichenwald sent and then deleted a tweet wishing illness and death upon the relatives of the Republican members of Congress who supported the American Health Care Act, the House GOP plan to replace Obamacare. Eichenwald, who is epileptic, took particular exception to a provision in the bill that would allow states that meet certain conditions to opt out of Obamacare provisions that block insurers from charging higher premiums to those with pre-existing conditions. "As one w/ preexisting condition: I hope every [Republican] who voted for Trumpcare sees a family member get [a] long term condition, lose insurance, and die," he tweeted late Friday night. "I want the GOPers who supported this to feel the pain in their own families because I want them to be tortured," he continued. 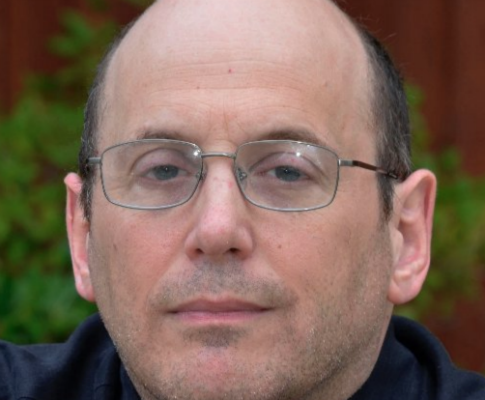 Eichenwald deleted his tweets after the Daily Caller noticed and reported on them. Some of his tweets calling for the deaths of the family members of Republican lawmakers remain up, however. Eichenwald's accusation that Republicans celebrated and drank beer in reaction to the passage of the AHCA is based on a false story. 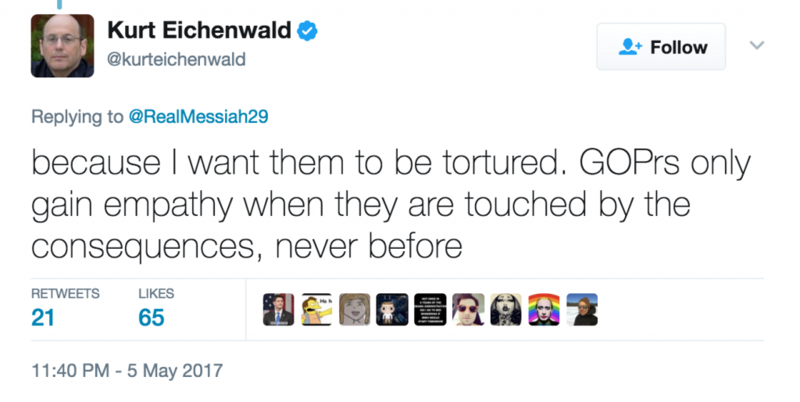 When the reporter who first noticed his tweets pointed that out in an email, Eichenwald responded dismissively. This entry was posted in Politics and tagged American Health Care Act, Kurt Eichenwald. Bookmark the permalink.